Recycling is a must when it comes to making the workplace more environmentally-friendly. That's why Slingsby recycling bins could be the perfect option for you. 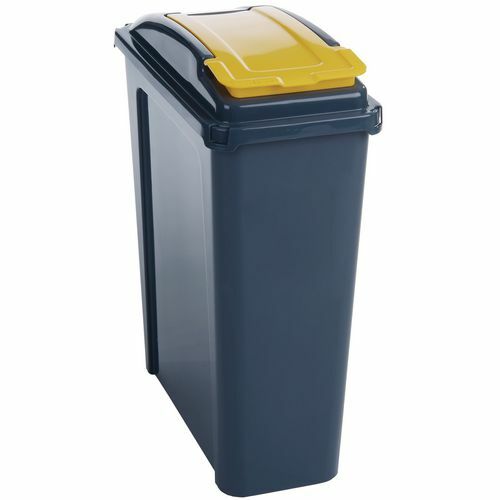 Made from 100% polypropylene, Slingsby recycling bins also offer a generous capacity of 50 litres - so it's ideal for use even in busy workplaces which generate a lot of waste. Practical and durable, Slingsby recycling bins can help you declutter the workplace or home as well as making it more eco-friendly. Slingsby has built up a well-earned reputation for quality, so you can rest assured that when you buy our recycling bins you'll be getting genuine value for your money.